Congratulations to everyone who took part in the 2017 Pier to Pier Swim. There was a dramatic finish to the swim on Saturday 12th August when, after a swim of 1.8 kms across the Sandown/Shanklin Bay, 4 swimmers turned together at the last buoy, which was a further 200 mtrs from the shore and the finish line. The winner was Alistair Bingham from Maidenhead Marlins in a time of 31.36 minutes. He was very closely followed by David Stannard from Reading SC in 31.43 mins. 3rd was Aiden Pierce of Seaclose IOW SC in 31.48 mins and 4th Russall Cooper, unattached, in 31.49 mins. The most senior finisher was Daphne Bell aged 77 from South London SC in 53.15 mins. 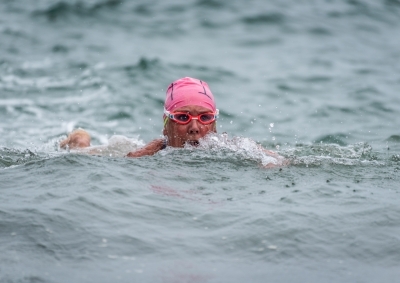 After helping at last year’s event and never having swum competitively in the sea or pool, Jo Cooper (aged 70) decided she wanted to do the swim and she successfully completed the course in 57.17 mins. 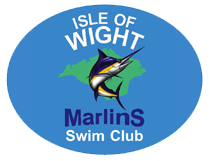 Proceeds, after club expenses, are distributed to those organisations who help us present the swim. Looking at the tides for next year the 2018 66th IOW Pier to Pier Swim will take place on Saturday 11th August at Noon. Full details will be published here – watch this space.